You know how lots of eyeshadows are marked as duochrome but maybe only about half of them are? 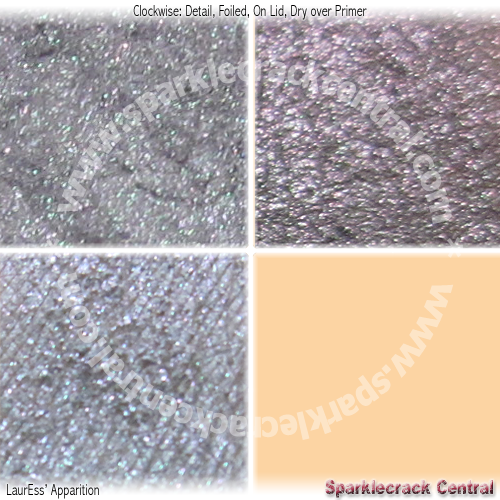 (They're actually duotone, which is one base color and a top-layer color, usually an iridescent shade.) 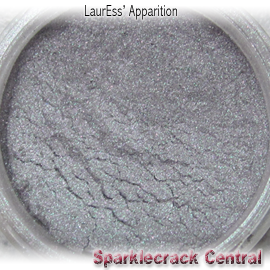 I bought this shadow years and years ago, when Sassy Minerals was still in business and hadn't merged with LaurEss. I wanted to get more greys, but this got caught up in The Backlog, and so for the longest time I didn't swatch or even use it. I found out just a few days ago that this is a duochrome. Medium-soft grey base, with both heathered teal and red-purple duochrome shifts. 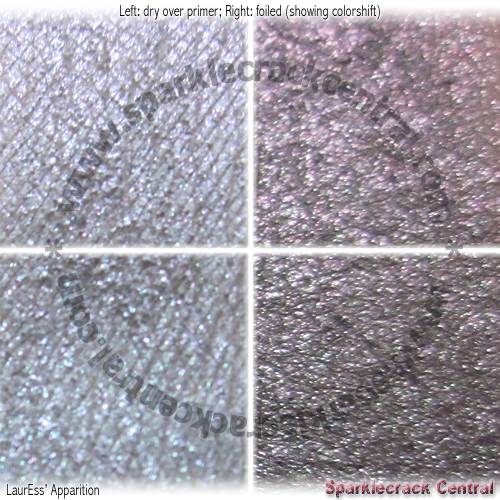 I had to include a second picture to show off the duochrome shifts, which show up both when applied dry and when foiled.